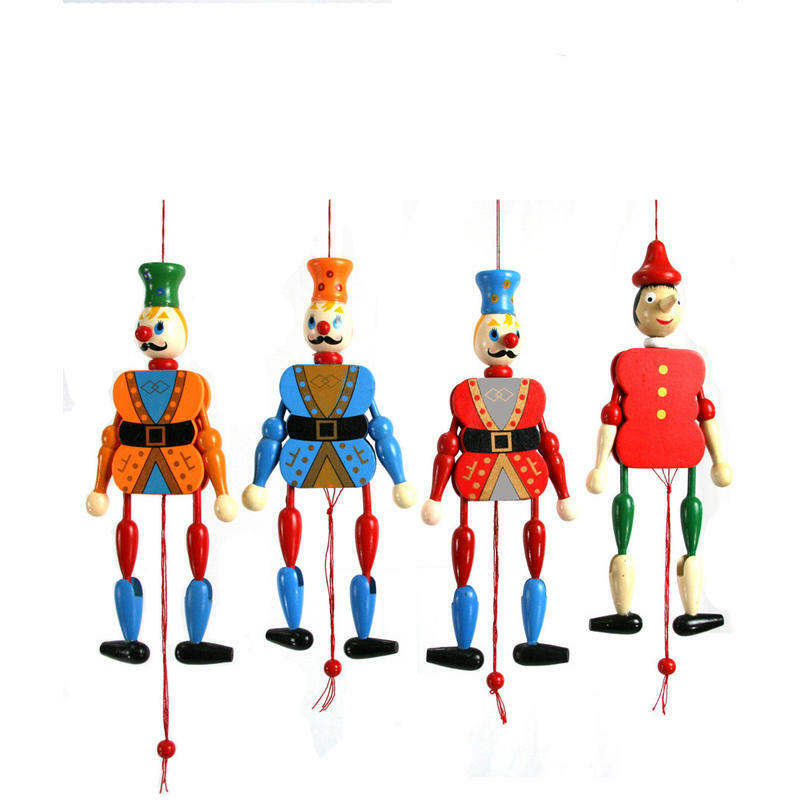 Each of these dapper Hanging Nutcrackers measures approximately 10cm wide by 35cm in height, and is the perfect little chap to welcome friends and visitors to your home this holiday! Hang these whimsical wooden nutcrackers to doors, windows, wreaths- even your Christmas tree! These four friendly fellows are painted in bright, cheery colours that will be cohesive with your traditional colour schemes and decor. When you pull on the string, the little nutcracker will do his holiday dance for you. These are a wonderful way to pay tribute to the traditions and toys of childhood, and to accent the home with charm and nostalgia this holiday season. Give these to friends, co-workers, or children on your holiday gift-giving list, when you want to share a gift that will be enjoyed and that will delight the recipient!